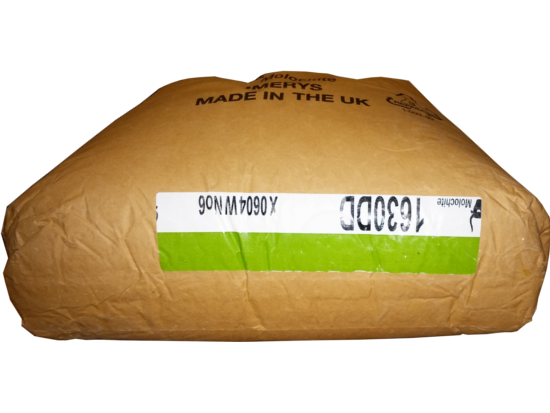 Chromite sand 72mesh is used for all supplementary coats to quickly build up the required shell thickness. Chromit's high density gives the finished mould high strength when being poured. Zircon or Molochite flour grade are excellent primary coat on ceramic shells. Chromit's high density gives superb surface detail and temperature resistance to higher melting point metals. Molochite being suitable for lower temperatures. Either should be mixed into the binder to make a slurry following the binder manufacturers formula. Chromite is a heavy sand and is therefore also used for weighting and stability applications in shooting bag rests.